GC/MS analysis or GC/MS testing, short for gas chromatography mass spectrometry, is an incredibly powerful analytical tool—and one of our most-requested lab services. It’s ability to separate, identify, and quantify the individual components of a sample makes it an ideal tool for manufacturers or researchers hoping to identify contaminants, trace elements, strange odors, and more. Use the tabs below to learn more about what GC/MS testing is and its wide-ranging industry applications, examples, techniques, and Innovatech Labs’ GC/MS service process, capabilities, and sample requirements. 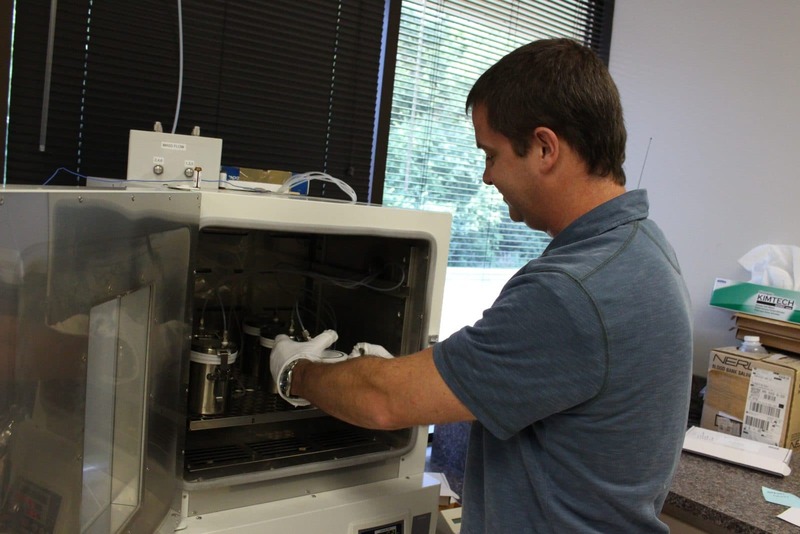 Since 1990, Innovatech Labs has provided GC and GC/MS lab services, delivering our clients with fast, accurate, and actionable results. Simply stated, GC/MS analysis is an analytical technique used to separate, identify, and quantify all the compounds within a sample. Do you need to identify an unknown substance or contaminant on a manufactured product? Are you trying to discover what’s causing your product to give off a strange odor? Or are you looking to identify the chemical composition of a specific ingredient or sample? 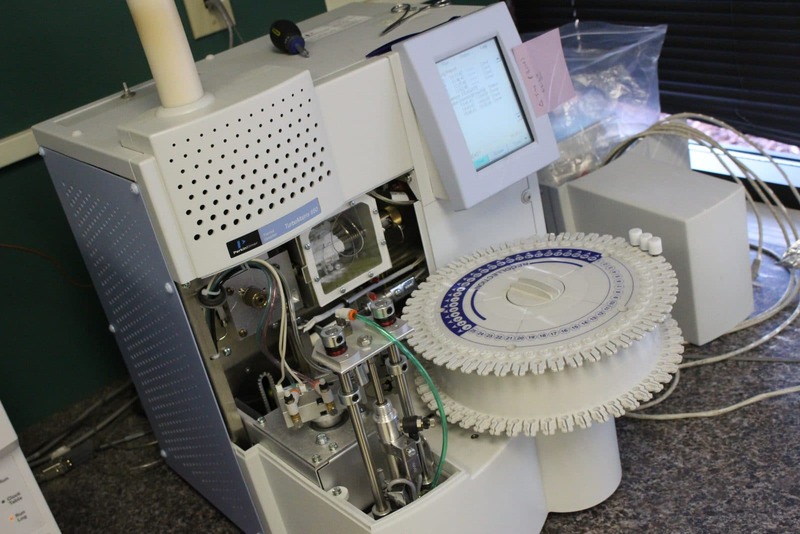 Gas chromatography and mass spectrometry are both stand alone analytical techniques, but together they bring depth and versatility to solving contamination and chemical composition questions. The first step is GC analysis using a chromatograph to heat and volatilize the sample, and then separate and identify the various compounds. The sample then flows into the mass spectrometer where it’s bombarded with electrons to further breakdown and quantify compounds in a sample. In the end, reference libraries and database resources are used to identify and confirm results. The applications of GC/MS analysis range across several industries. Typically, research and development or quality control, assurance, or operations leaders partner with us to identify unknown contaminants, trace elements, or chemical compositions of samples. Since pharmaceutical products are ingested or implanted in the body, residual solvent testing is critical to ensure that solvents are not present at health threatening levels and GC/MS is a go-to testing tool. Since epoxies are important curing agents for many manufactured products, a failed epoxy can mean a failed product. Epoxy testing using GC/MS can be used to uncover contaminating compounds. Headspace analysis is conducted in tandem with GC/MS and is often used to identify residual solvents in or on manufactured goods, identify and quantify volatile organic compounds (VOCs), or identify odd odors exuding from products. Innovatech Labs uses two different methods of collecting the volatiles for headspace analysis: dynamic headspace and static headspace. Static headspace analysis is ideal for analyzing volatile compounds such as residual solvents or low molecular weight additives. 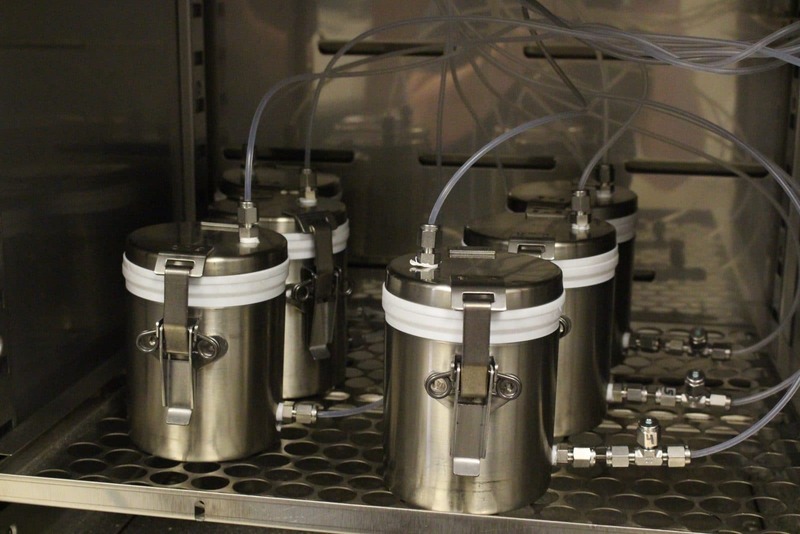 Dynamic headspace, which uses the “purge and trap method,” is often used for environmental applications, but can also be used for residual solvents in food packaging or pharmaceutical products and other samples. Learn more about how we use headspace analysis and its methods. Example 1: A pharmaceutical manufacturer wanted to know whether a solvent, ethanol, that was used during their manufacturing process, was present in the finished powdered drug product. Residual solvent analysis using GC/MS coupled with static headspace analysis was used to determine ethanol was in fact present. Example 2: A manufacturer discovered that the epoxy used in a device was failing to perform as intended. Epoxy outgassing using GC/MS was conducted on both a failed and good sample and it was found that the two samples had dramatically different concentrations of Benzene. Check out all of our analytical testing case studies to learn more about our capabilities. Material identification: The mass spectrum of the unknown compound can be searched against our vast computerized reference library that includes more than 275,000 spectra for identification. Quantification: The concentration of the various compounds in a sample can be quantified by establishing a standard curve of known concentrations of each material. 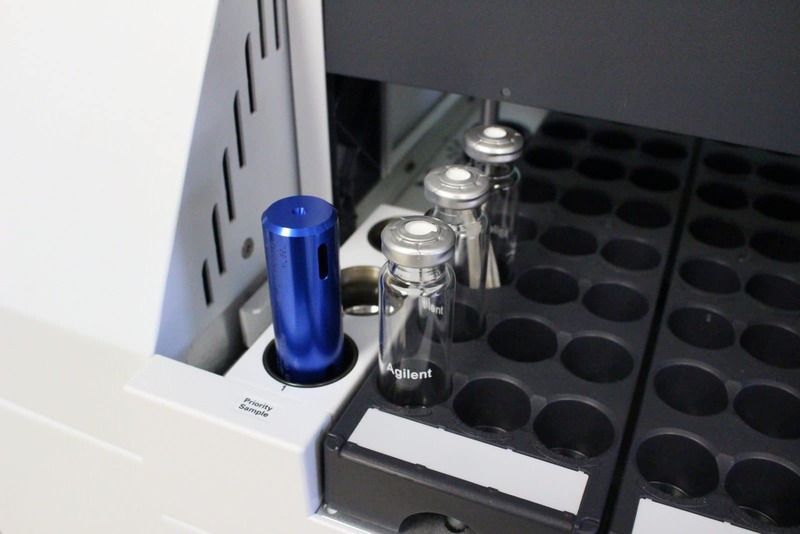 Unique Capabilities: Our advanced equipment and our seasoned team of analytical scientists enables us to not only separate and identify the components of a sample or mixture, but also quantify known compounds in many cases. Typical GC/MS testing time: Typically, about 1 hour is needed for the analysis and interpretation of a sample containing relatively few compounds. However, more complex samples will require additional time for interpretation, so we can deliver you accurate results. Standard turnaround for results is within five business days. But we can also accommodate urgent requests, which can be expedited to get you actionable results in just 24-48 hours. Every testing and analysis project is unique. Our experienced team of analytical scientists can recommend the best testing and analysis procedure for your needs. Get in touch with us by at 888-740-5227 or feel free to submit a quote request.